This project was done in my Information Visualization class at the University of Calgary. We had to select a poorly designed information visualization and redesign it so that it was easily readable. I found my original graph on Reddit r/dataisugly. Afterwards, I had to analyze the graph for the encodings it utilized. 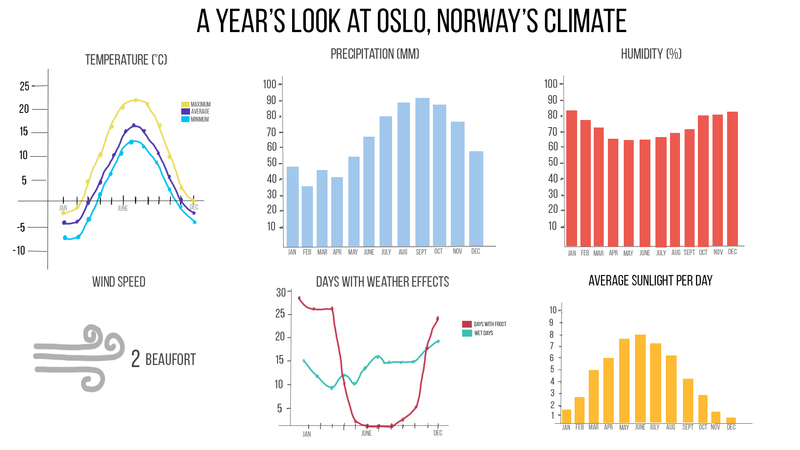 The Norway graph used length, colour, and area encodings in order to convey Norway’s climates. To make it easier to understand the abundance amount of information given, I decided to break down the graph into sub graphs. This was to help the viewer digest the information in a much more controlled way. The redesign was done in Adobe Photoshop.